Sometimes the venues themselves are as interesting as the performers! Restless Moons Brewing is housed in a converted car repair garage. With no TV’s on site, they rely on community, conversation and music to fill the seats. And it’s working. On a Friday or Saturday you might hear rock, electronic, hip-hop or country depending on what the local bands bring to this “industrial chic” spot on Wolfe Street. There’s no cover charge because they want to promote the “special, dedicated music scene” in town, and while the band warms up you can chat with their lively and interesting bartenders over one of their tasty beers. Just a block down the same street is The Golden Pony on the former site of a beloved Ethiopian restaurant. They still offer Nile Nachos with keye wat sauce as a nod to their origins, and they have a full menu and bar. Come for dinner and stay for the show downstairs! There is music most nights, and there’s a free dance party every Friday. This is one of the only venues for metal in town, and on April 4, they’ll be hosting death metal legends, Obituary. On April 7, they’ll offer a Jimmy Hendrix Tribute by The Bobby Thompson Trio. 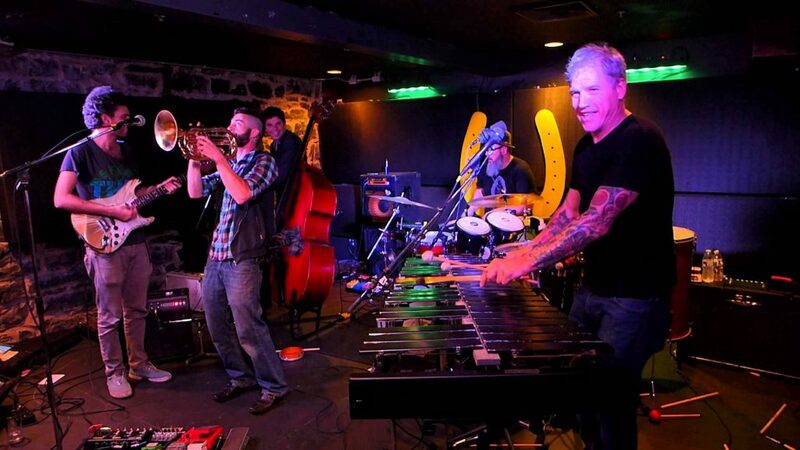 If your taste leans toward Rockabilly and R&B, they’ve got that, too, on April 27 with Southern Culture on the Skids! Another intimate space is The Friendly Fermenter, a nanobrewery and home brew shop. Their incarnation as a music scene was “totally spontaneous” when they began hosting one local band. More musicians found their shop welcoming and asked to play, and now they offer a regular rotation of Country/Bluegrass/Folk to Classic Rock! They host a diverse audience made up of locals, visitors, students and retirees. They enjoy this aspect of their business as it supports artists in the community and “It helps us connect with people!” as they say. If you are more interested in classical music and big name performers, JMU’s Forbes Center for the Performing Arts and Court Square Theater have extensive schedules of performances throughout the year. During the first weekend of April, the whole of downtown gives itself over to music by hosting MACROCK, an annual DIY music festival and conference showcasing a diverse array of independent musical acts from across the country. The conference includes panel discussions, and live performances at Clementine, Pale Fire, Larkin Arts, Little Grill Collective, Brothers Craft Brewing, The Golden Pony and Court Square Theater.  The festival “began in Harrisonburg, VA in 1996 as an extension of James Madison University’s student-run radio station, WXJM but is now independent and run entirely by volunteers. This year’s performers include Guerilla Toss (NY, NY), Empath (Philly), War on Women (Baltimore), Hommeboy (Atlanta) and Escuela Grind (Pittsfield, MA). It’s sure to be a rocking weekend! 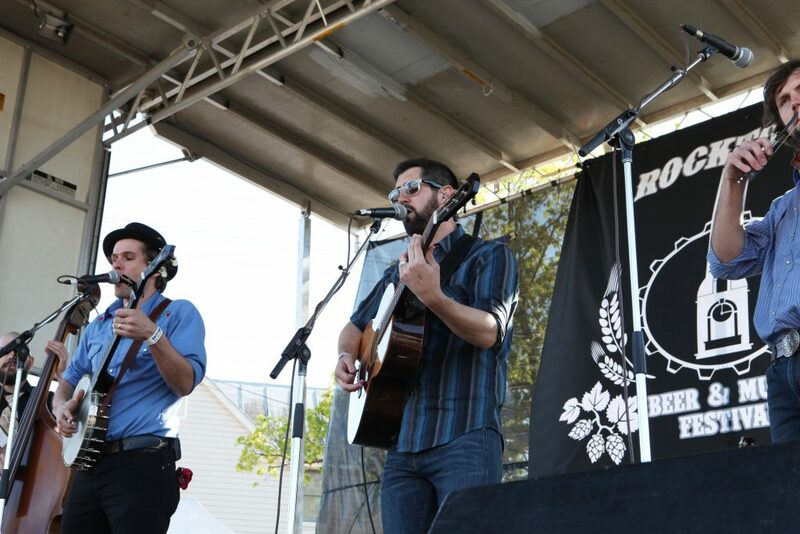 On April 20 of this year, 3,000 people will converge on Turner Pavilion & Park in downtown Harrisonburg to attend The Rocktown Beer & Music Festival (which often sells out in advance), a one day celebration of “good beer, good living, good music and a great community.” Brought to you by Harrisonburg Downtown Renaissance, Brothers Craft Brewing Co. and Pale Fire Brewing Co., it showcases the growing popularity of craft beers from around the country in a relaxed and friendly environment. Patrons receive a commemorative sampling mug and great music all day long. This year’s festival will feature music by Kat Wright, The Accidentals and Bryan Elijah Smith. 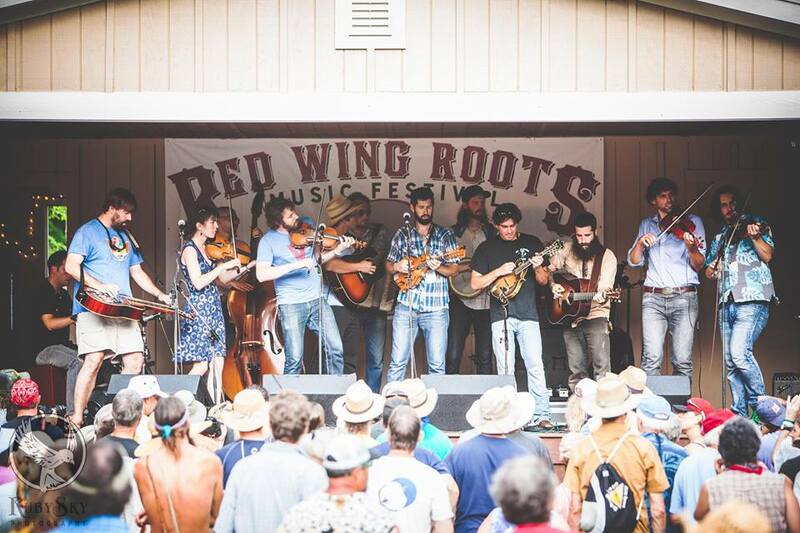 If your visit will be in the summer, you might plan it around the Red Wing Roots Music Festival, July 12-14 at Natural Chimneys Park in Mt. Solon. 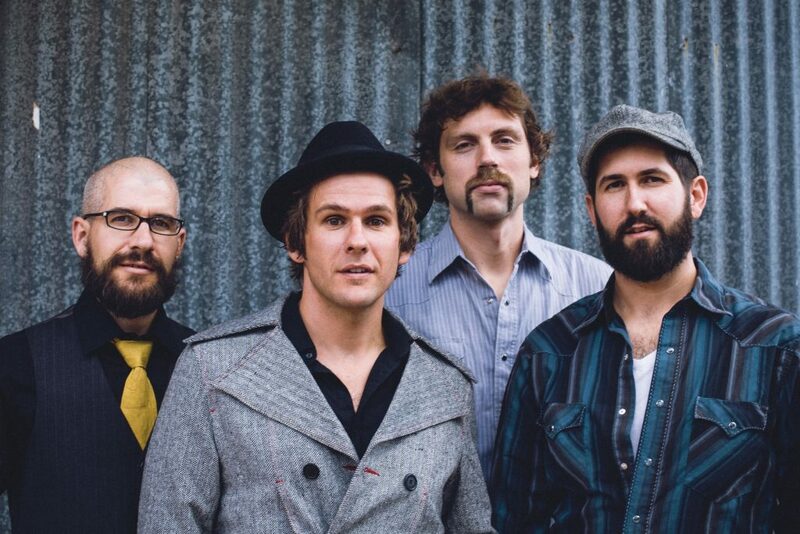 Hosted by The Steel Wheels, this family friendly festival has included bands like Lake Street Dive, Steep Canyon Rangers, and Trampled by Turtles. 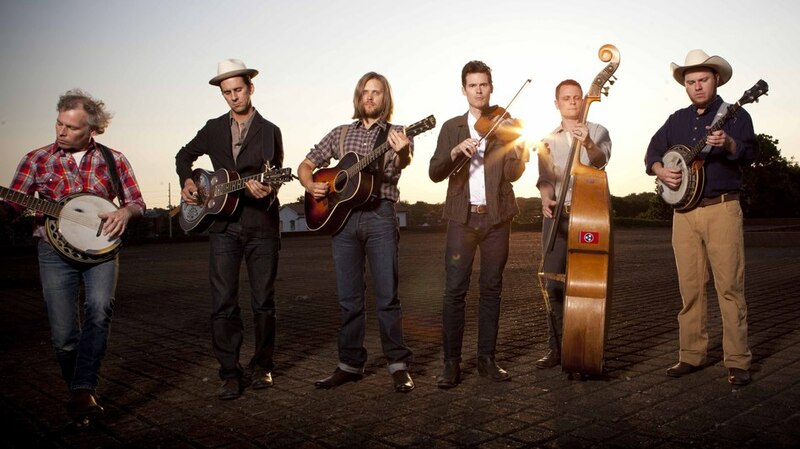 This year’s festival will feature Mandolin Orange, First Aid Kit, Peter Rowan and The Wood Brothers as well as The Steel Wheels and many other acts. There will be morning yoga sessions, bike rides, mountain biking, hiking, and fun runs as well as workshops and activities for kids and a special set of musical performances just for them. A variety of food vendors on site will feed you and craft vendors will supply souvenirs. Because you won’t want to forget this experience! 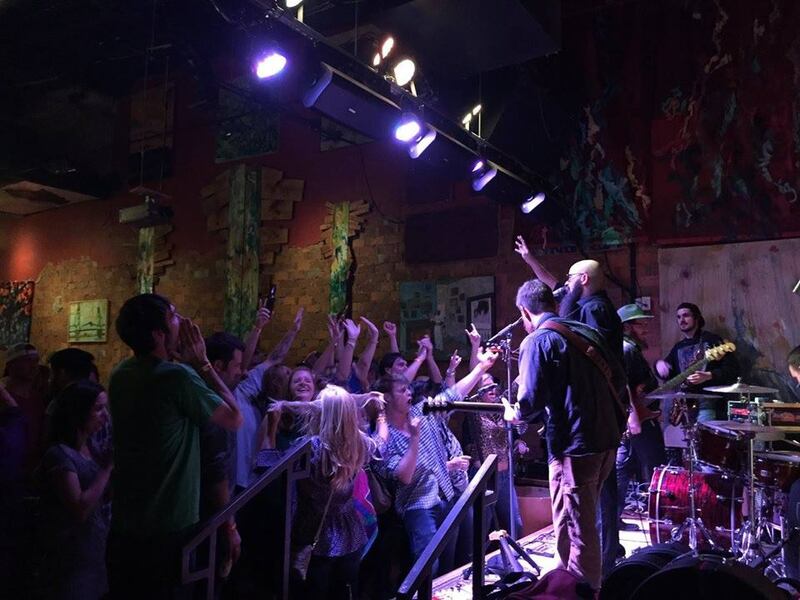 Whether you’re looking for an evening out, an opportunity to shake off the work week and dance, or a weekend packed with music and fun, Harrisonburg has it all! 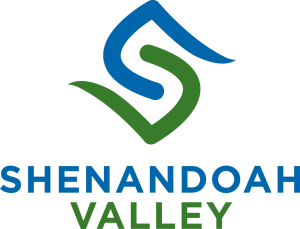 Check out our music under the stars at local wineries, big acts on the mainstage at The Forbes Center, local soon-to-be-famous bands at the breweries or restaurants, or one of the many festivals in the area. Our town (Virginia’s first Culinary District) is a feast for all your senses!